Omicron Industriale srl was founded in 1976 and throughout the years it has developed with the acquisition and fusions of other small and middle sized groups who had the “know-how” to work in the electrical networks, telecommunications and automatic control sector. 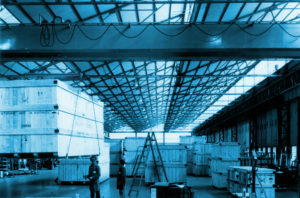 In 1982 the first important innovation arrived: The integration with SIP (today Telecom Italia) with the automatic system to handle all malfunctions notified by a CLIA users (service 182) with hundreds of units furnished, in the 1990’s with the production of the Risk 6000 computer by IBM in the production plant based in Rieti, the supply of automated sorting systems for intercontinental telephone service in the early 80’s for Italcable, the construction of large power stations in direct current with SCR technology is still operating today in Milan, Rome, Mazara del Vallo for telephone stations. The technological breakthrough came at the end of the 1990’s: the introduction of switching technology in the alternating current, they first purchased it from an Australian company then developed it in-house and producing rectifiers, inverters and control units in the production plant based in Bucharest connected with Antrice, founded in 1994 for the East European market and for the production of parts of power stations established in cooperation with the Romanian Government (surveying the personnel at Public Electronics Research Institute) and Simest (an Italian government company for the promotion of investments abroad). In the wake of product development and competitive prices Omicron, between 1996 and 2003, has sold thousands of power stations to telephone operators in Italy, Romania, Greece, Morocco, Iran, Kazakhstan, Bulgaria and Turkey. They also created a company for marketing and maintenance in Istanbul under the name of Omitur with a local minority shareholder. In 2002, the company moved towards the South American market and it created a reality in Sao Paulo (Barueri) that had immediate success and in recent years has sold thousands of power stations to the main telephone operators with products approved by Anatel (Tim Brasil, OI-Telemar , Vivo, Telebras) for tens of millions of dollars. In 2003 another company was founded in Argentina in the city of Buenos Aires which has sold hundreds of energy systems to Telecom Argentina, Personal, YPF and in 2010 it partnered to create Omicron Sucursal. In the 2000’s attention was given also to markets and clients in complementary sectors and we have become suppliers for Enel, Terna, the Italian State Railways, Finmeccanica and ACEA with whom we still work with today and for whom we develop new products and new technologies, in particular in order to optimize the consumption of electricity and energy efficiency: creation of installations for free-cooling, of rectifiers yield above 96%, self-chilling systems for shelters, energy introduction in the electromechanical sorting quadrants, retrofitting stations of low-efficiency energy. This has forced us to comply early on with the ISO9001 certification and then the 14.001 and has allowed us to develop a great network that gives timely assistance throughout the national territory.